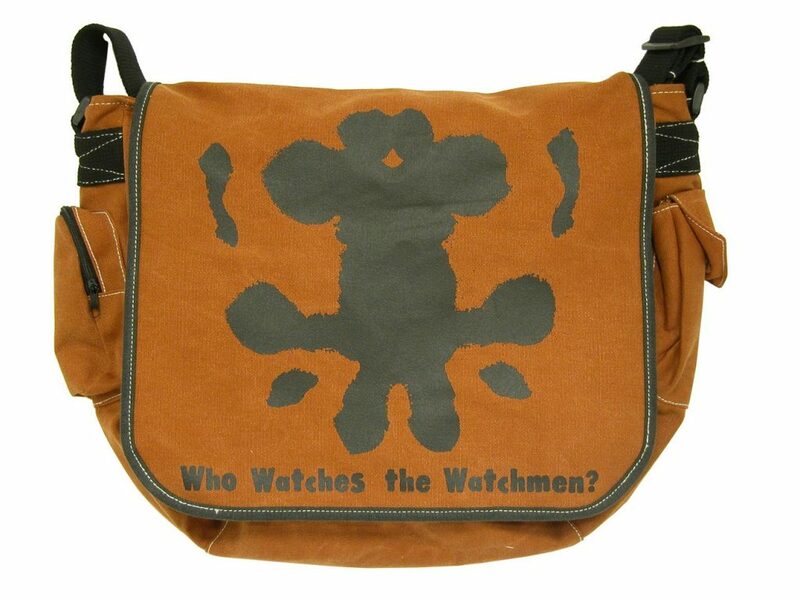 Take your vigilante gear on the go with this Rorschach messenger bag from Watchmen! Brown bag features black art on front and back. 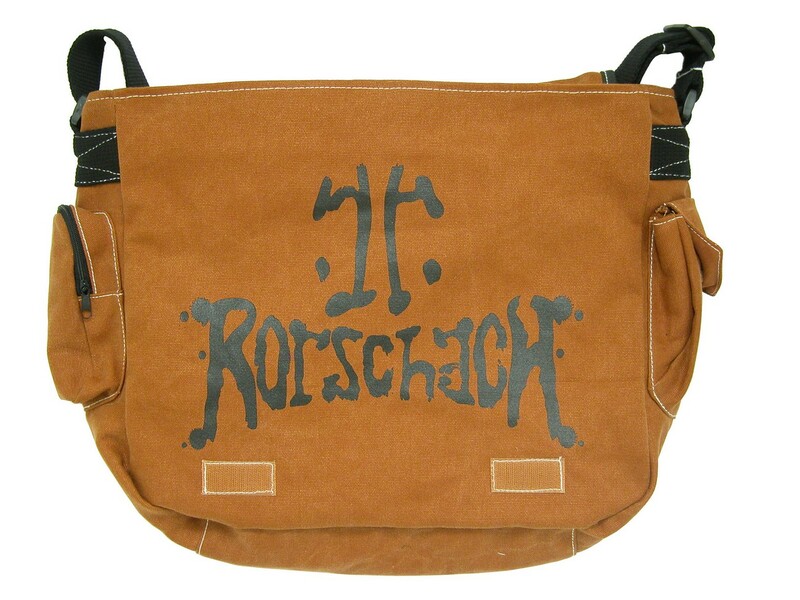 Adjustable shoulder strap and roomy 15x13x5″ interior, with side zip and Velcro pockets on the outside for easy-access storage. 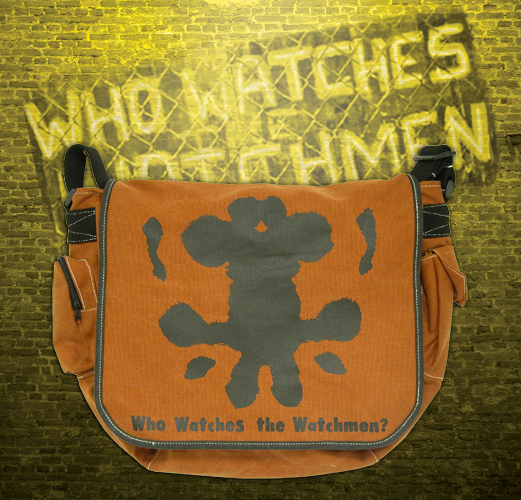 Cotton canvas is lightweight but sturdy, plus it’s machine washable.